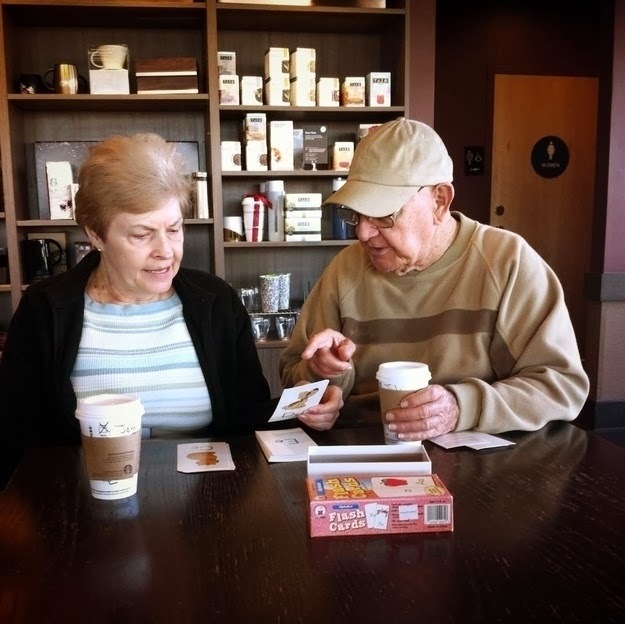 Through My Eyes: Amazing Stories. 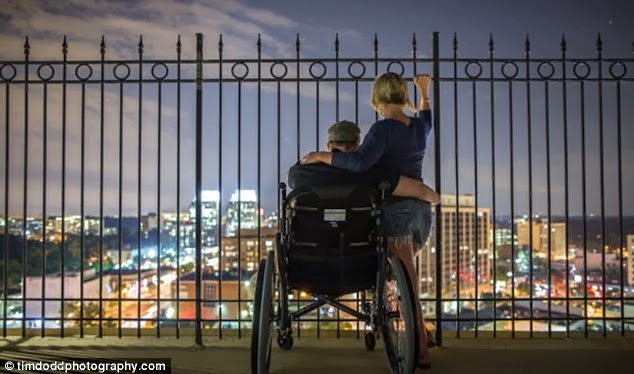 So, I read this article called, "The 35 Most Touching Photos Ever Taken" in Facebook and boy, did it made me cry. Indeed, touching. I just want to share some of which really stirred up certain emotions inside. Some. just some. 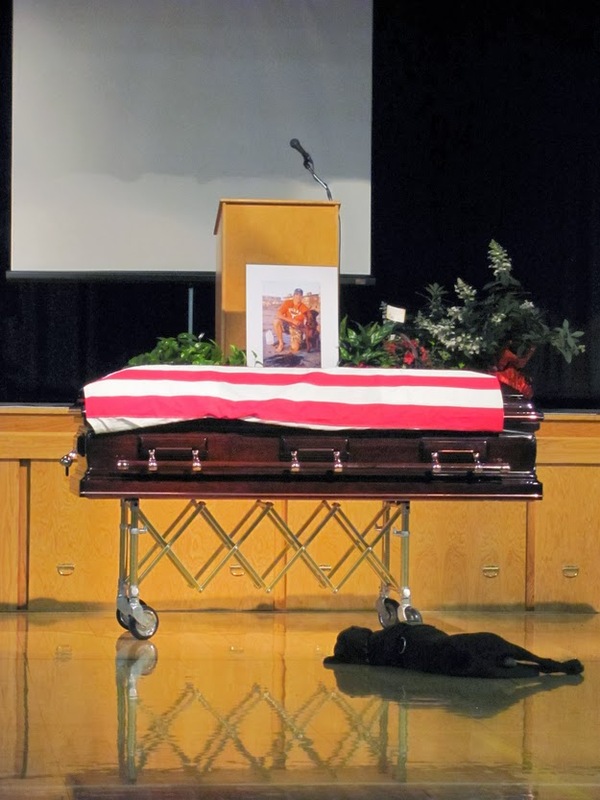 Hawkeye, loyal pet to Petty Officer Jon T. Tumilson, fell to the ground in front of his owner’s casket in front of friends and family of the deceased, and remained there throughout the ceremony. 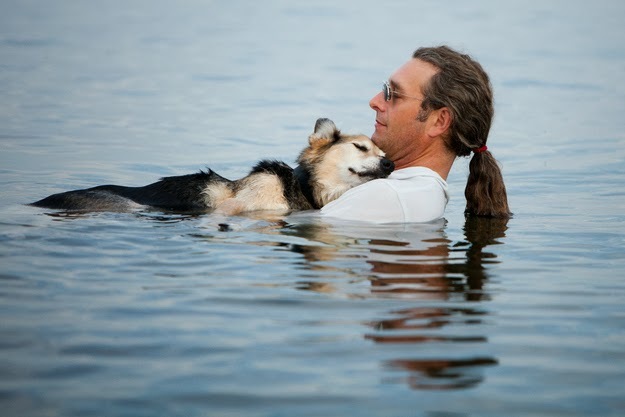 An arthritic 19-year-old dog named Schoep is cradled by his owner, John, in the waters of Lake Superior, where the buoyancy eases the dog’s pain, allowing him to fall asleep comfortably in his owner’s arms. Shortly after this photo started to spread online, people everywhere began donating money, allowing John to pay for the surgery and medication Shoep needed to live more comfortably. John used the remaining money to start a foundation to help other pets in pain. A father and son’s relationship over the years. A North Korean man waves his hand as a South Korean relative weeps. 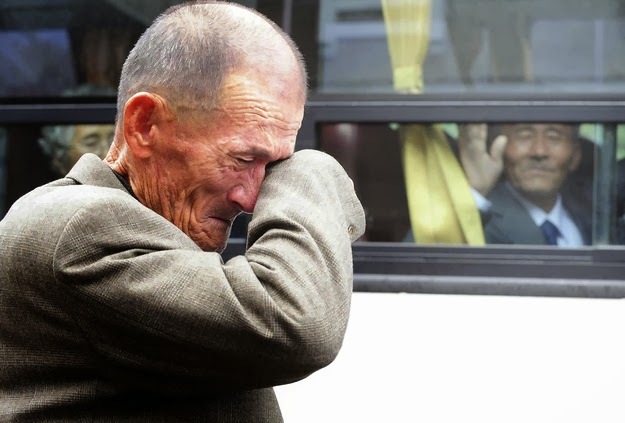 On Oct. 31, 2010, 436 South Koreans were allowed to spend three days in North Korea to meet their 97 North Korean relatives, whom they had been separated from since the 1950–53 war. 'It's been so hard and she's been here the whole time': Amazing love story of bomb disposal expert who lost arms and legs in Afghanistan blast and the girlfriend who has been at his side during remarkable recovery. 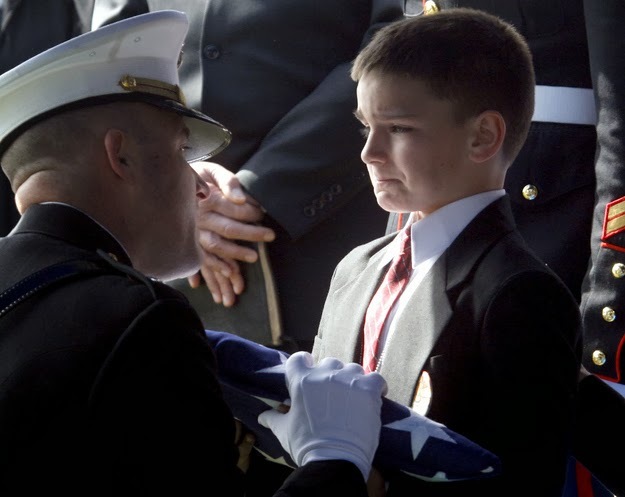 Eight-year-old Christian Golczynski accepts the flag for his father, Marine Staff Sgt. Marc Golczynski, during a memorial service. Marc Golczynski was shot on patrol during his second tour in Iraq just a few weeks before he was due to return home.